£4.59m steal: Puel firmly reaping the rewards from inspired Ranieri decision | The Transfer Tavern | Where football transfer rumours fly or die! Leicester City supporters have been pretty quiet in recent times after seeing their side bow out of the Carabao Cup on Tuesday night. Claude Puel’s men went into their meeting with defending champions Manchester City having got past Fleetwood Town, Wolves, and Southampton to reach the last eight, setting up a repeat of last season’s last eight clash against Pep Guardiola’s side. And the Citizens again emerged victorious after edging past the Foxes on penalties at the King Power Stadium, with Kevin De Bruyne’s opener cancelled out by a fine Marc Albrighton strike to draw 1-1 after 90 minutes, and thus force a shootout. As such, there have been many disappointed Leicester fans up and down the country in recent times, although there is likely to be plenty of praise for winger Demarai Gray given he was one of the Foxes’ better players against the Citizens on Tuesday night. And it was former manager Claudio Ranieri who lured the 22-year-old to the King Power Stadium back in January 2016 for just £4.59 million (as per Transfermarkt), with current boss Puel firmly reaping the rewards from an inspired decision from the now-Fulham chief. Ultimately, the England Under-21 international was tearing it up at Championship side Birmingham City in the years prior to earning a move to Leicester, netting eight times in 78 appearances for the Blues to underline his status as one of the brightest stars outside of the Premier League. And Ranieri’s Foxes, in the midst of their incredible Premier League title-winning campaign, made the decision to lure the 22-year-old to the King Power Stadium to add further depth to the forward ranks – a decision they have somewhat reaped the rewards from in recent times. And that’s because Gray has continued to produce the goods for the Foxes with eight goals and 12 assists for the Midlands outfit, two goals and an assist coming this term to help Puel’s side to the relative safety of mid-table in the Premier League. 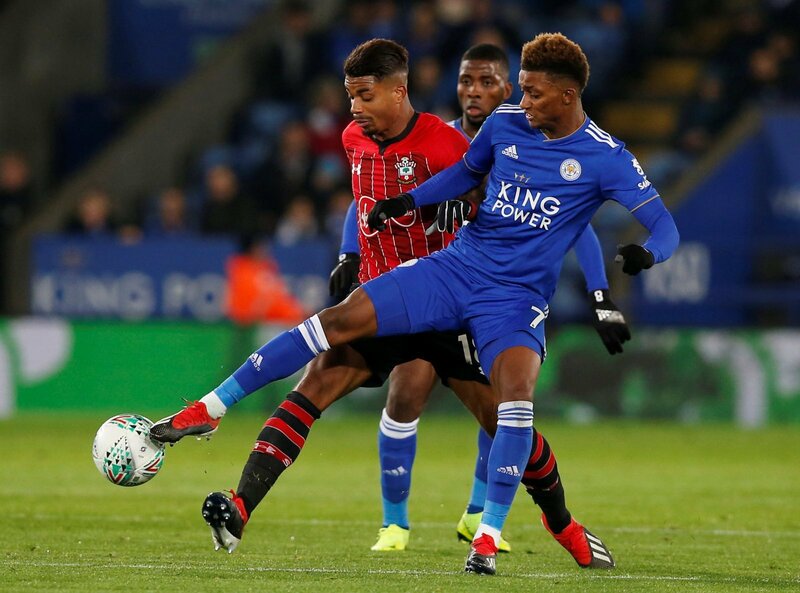 Yes, those figures are hardly ground-breaking, and one criticism of the 22-year-old is his lack of direct contributions, but there is little doubting that Gray is continuing to develop as a player at Leicester – as part of a much-changed side against City on Tuesday, he was the one seizing the initiative and trying to make things happen. 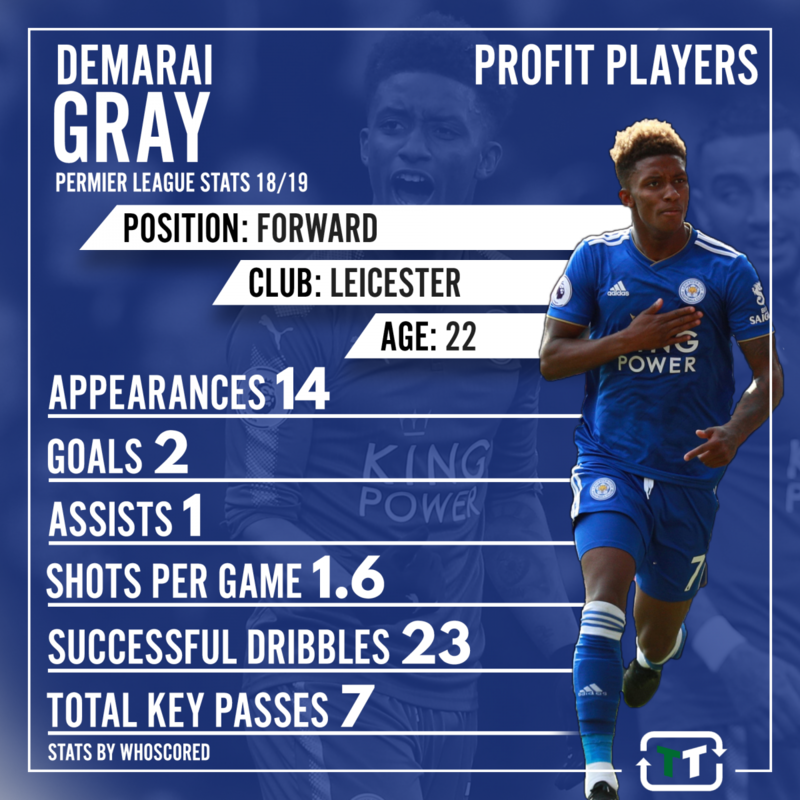 The next stage for Gray is obviously to try and turn his undoubted talent into more goals and assists, but at the tender age of 22, and having spent just £4.59 million on the winger back in 2016, there is no doubt that Leicester will continue to profit from Ranieri’s inspired decision little under three years ago.